Have you always wanted to knit your own beanies and scarves? Come learn the basics of knitting and soon you’ll be able to knit your own winter accessories! This workshop will go over how to tie a slip knot, cast on your yarn and the basic knit stitches. Perfect for those who have no knitting experience and also those who need to refresh their knitting skills. Needles and yarn will be provided. 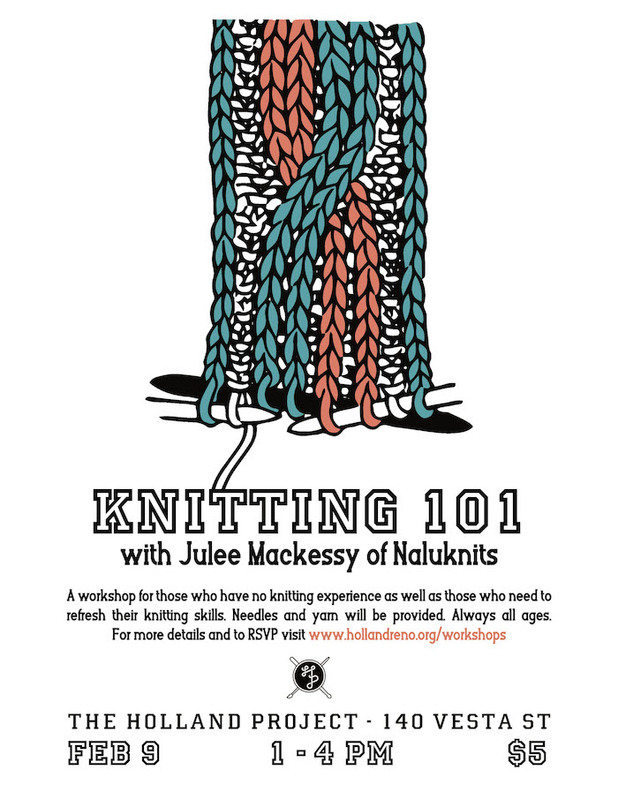 Julee Mackessy is a knitting instructor and creator of Naluknits, handmade functional knit goods available online and in various local businesses. (You may remember her from our Rogue Art + Craft Fair!) Check out her work here!